Spring in Michigan is so amazingly welcomed after the long cold months of winter, it’s a shame to waste a minute of it doing nothing. So, think spring and consider all the possibilities starting with the one thing most synonymous with spring … flowers, and more specifically tulips! Holland’s Tulip Time Festival has had that covered for 89 years so this event should top your list. Farther south, Detroit’s Eastern Market also celebrates the flower at Flower Day, the perfect chance to see and purchase outdoor flora and shop the incredible variety the market offers. Another Pure Michigan spring thing is the delectable morel mushroom, celebrated and feasted upon at the National Morel Mushroom Festival in Boyne City. Learn how to hunt morels safely and maybe even try your luck in a competitive hunt. If your group enjoys birding, spring means the return of our feathered friends — sometimes in massive flocks that take your breath away. From water and songbirds along Lake Michigan, Lake Erie, and the Detroit River, to Lake Superior’s White Fish Point Observatory, known for raptor observing, there are literally dozens of places to head to for great spring birding! If none of these options work for your group, we have more great ideas in our “Michigan Spring Charter Trip Bucket List” blog. Ahhh … summer! Finally, all threats of ice and snow are over and sandy beaches are warm to the touch. 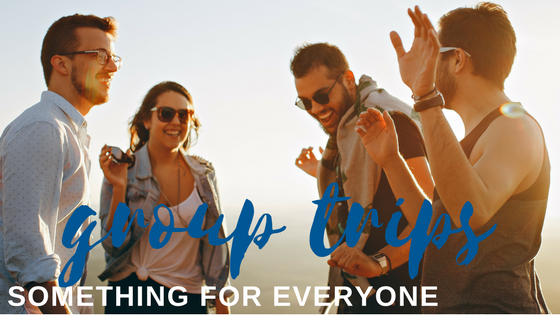 It’s time to plan your best group charter ever! One thing you can count on plenty of in Michigan is summer fairs and festivals for just about every reason imaginable. For example, celebrate fruit! Start with June strawberry festivals in Hartford, Belleville, Coldwater, and Alden; then wine, from the fruit of the vines in Traverse City and Leland, and south to Bridgman; in July and August sample peaches in Coloma and Romeo, blueberries in South Haven, Montrose, and Paradise, and melons in Howell. Of course, September means apples in Rochester, Silver Lake, Coldwater, and Niles, to name a few. You can almost get on a bus in June and never stop going to fruit festivals until the snow flies again! Music is another option for really awesome events around the state all summer long. Starting in June with Faster Horses Country Festival in Brooklyn and Rockaplooza in Jackson. Next up is July with the world-renowned Traverse City Cherry Festival’s multiple stages and concerts, the MoPop Festival in Detroit, and the multi-genre Common Ground Music Festival in Lansing. In August, there is no shortage of options with the Summer Music Fest in Frankenmuth, the Porcupine Mountain Music Festival in Porcupine Mountain State Park, the Midland Folk Music Festival, and many more not yet announced. Even as summer starts to slip away, Michigan still offers so many great places to visit after Labor Day. In some ways, this time of year is even better for groups because while the weather is still warm, the crowds are thinner and reservations and rates much more palatable. Here are a few possibilities for fall group charter trips. In a word … beer! That nectar of the field has become a venue, not just a beverage, in Michigan. September offers the U.P. Fall Beer Fest in Marquette at its scenic Mattson Park and the only officially sanctioned Oktoberfest outside of the original in Munich, Germany, is held right here in Frankenmuth in mid-September. Other beer-hefting opportunities are in Manistee at Hops & Props on the River, at the Cadillac Craft Beer Festival, and the revived Oktoberfest in Sault Ste. Marie. If you're into setting your own schedule and building a tour, check out our blog on brewery tours for even more ideas! Fall has plenty to offer in Michigan so check out our “10 Fall Bucket List Group Trip Ideas” blog for more great places to go and sights to see! This list, as long as it is, is just the very tip of the great Michigan charter trip iceberg and additional information can be found at Pure Michigan. Whether you're into wine, exploring in the Upper Peninsula, or you just want to know all that Michigan has to offer, the Indian Trails blog has got you covered. Indian Trails stands ready to help you plan and execute your next trip with the finest motorcoaches available and expertly trained staff.